This 1962 33mm. FAVRE LEUBA is such a great looking watch on the wrist! The Dial has aged to what we call a “Havana” tone and looks wonderful. 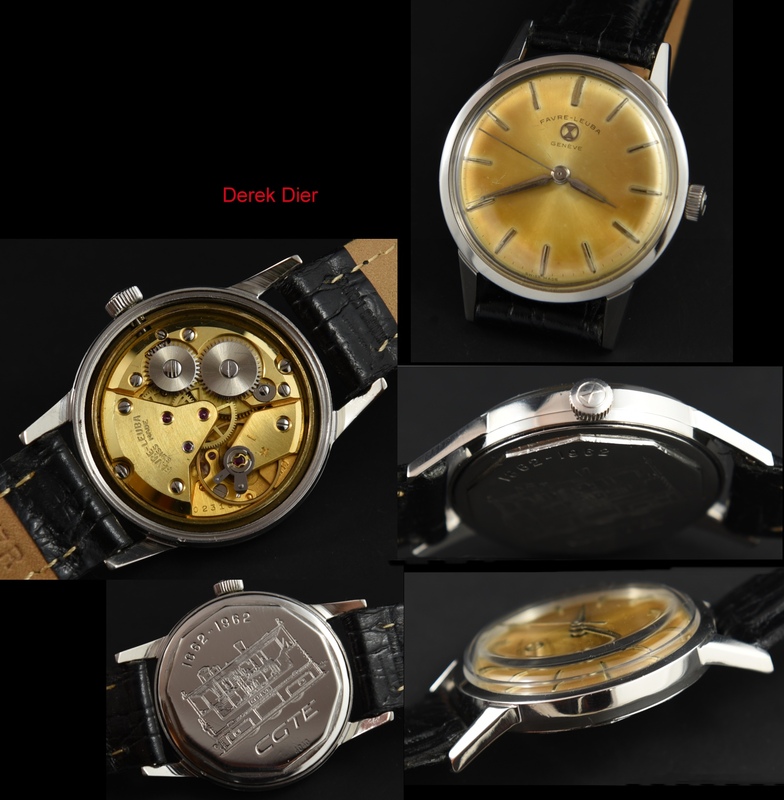 The dial and Dauiphine hands along with the signed winding crown are original. 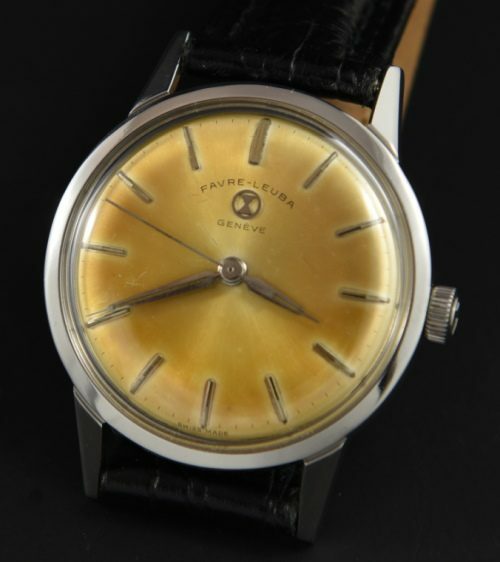 I really like the 1962 inscription on the case rear “CGTE”. The Geneva Electric Tramway Company (CGTE) was a SWISS private urban transport company. The manual winding Favre Leuba movement was just cleaned and accurate. This is a mid-size slim and sleek watch with great looks and price.